Project Build Minnesota is excited to continue our efforts to make construction the first choice for hard working youth. As we move through our second year, we wanted to share our progress. Want to get our newsletter in your inbox? Sign Up Now! I am proud to serve as 2019 president of Project Build Minnesota. My goals for the organization are to focus on strong volunteer leadership, expanded funding sources, amplifying our key messages, and educating as many people as possible to the fact that a career in construction is a very positive life-long decision. I personally want to thank all of the donors for funding the important work of Project Build Minnesota (PBM) and for supporting the mission of the organization. Throughout 2019, you will be hearing more about our construction training programs, student outreach at schools, public relations and legislative awareness, donor and stakeholder social events, website development, and a robust social media campaign. I welcome your comments and ideas on how we can work together to move Project Build Minnesota forward by accelerating and unifying strategies on construction workforce development. Please call me anytime at 612-381-2625. Tom Getzke, president, Project Build Minnesota. 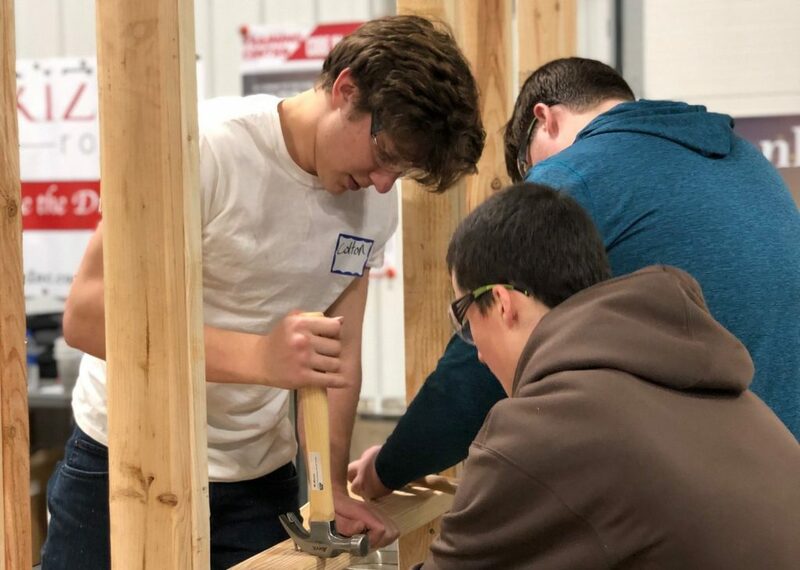 The 2018-19 school year has been extremely busy and exciting for Project Build Minnesota. 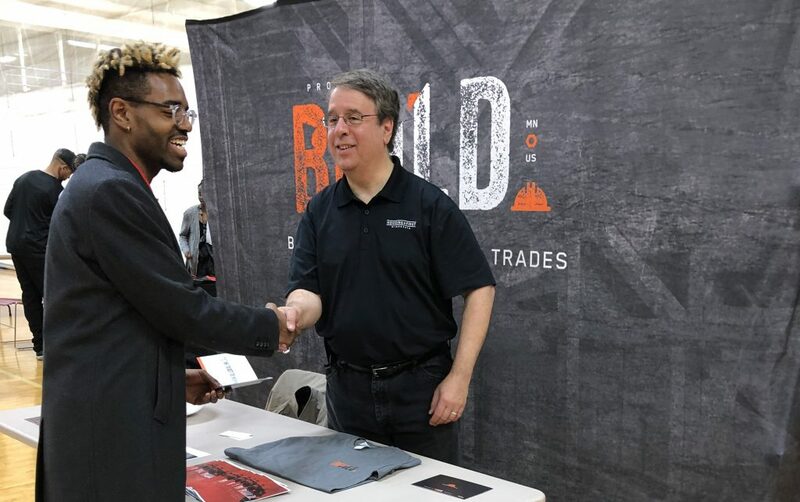 We have attended and engaged students at career fairs at eleven schools, including the Elk River Schools Career Expo, Hopkins H.S, Washburn H.S, Minneapolis H.S., Buffalo H.S., Minneapolis Career and Technical College Earn & Learn Expo to name a few. (See pictures below). 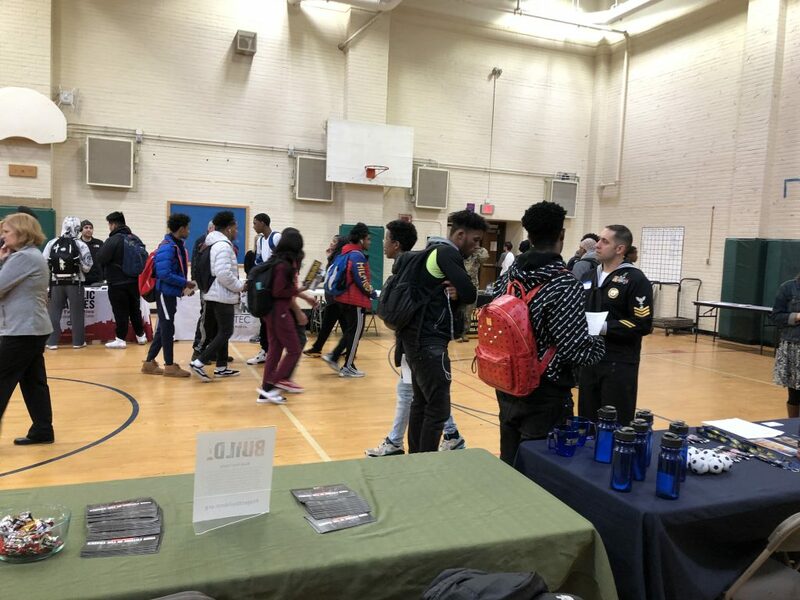 Over 4,500 students in total attended and had the opportunity to learn about the exciting careers available in the construction industry by speaking with PBM volunteers and taking marketing materials to review. In addition to the career fairs PBM has visited several school classrooms around the State of Minnesota to make presentations. The students get to learn firsthand what being in the trades is about and the opportunities that exist by hearing from a volunteer member of the PBM Speakers Bureau. If you would like to volunteer for the Speakers Bureau please email your name and contact information to dennis@projectbuildmn.org. Volunteers from PBM also visited the Rochester Area Builders Home Show, the BATC/Housing First Minnesota Builders and Remodelers Show and the NARI general membership meeting to promote the mission of PBM to the attendees, exhibitors and members. Over 1,500 people attended these events and had the opportunity to hear the mission of PBM. 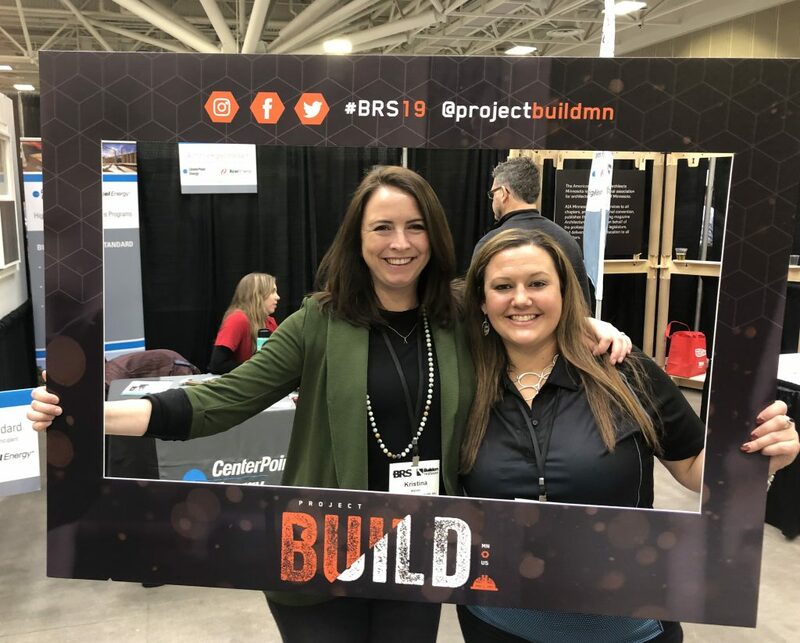 PBM also had a booth at the Minnesota School Board Association Annual Conference where we had the opportunity to engage over 1,000 Minnesota School Board members and discuss how the construction industry offers incredible careers for their students. We were well received by the Board members many of which own their own construction firms. 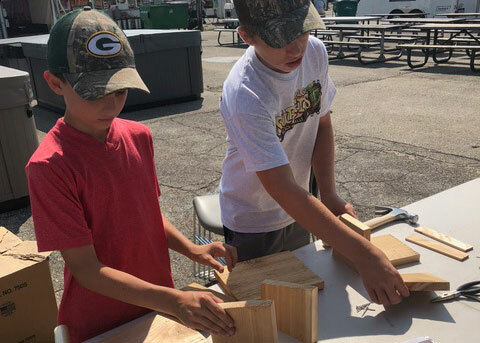 PBM will be at six county fairs this year with a booth and a project for kids to build. Last year we were at the Steele County Fair and it was a resounding success. We had over 200 students in six hours build bird feeders which gave the PBM volunteers an opportunity to engage the parents about a trade in the careers. This year PBM will be at the following County Fairs: Dakota, Steele, Stevens, Crow Wing and Stearns. Watch our website for dates. 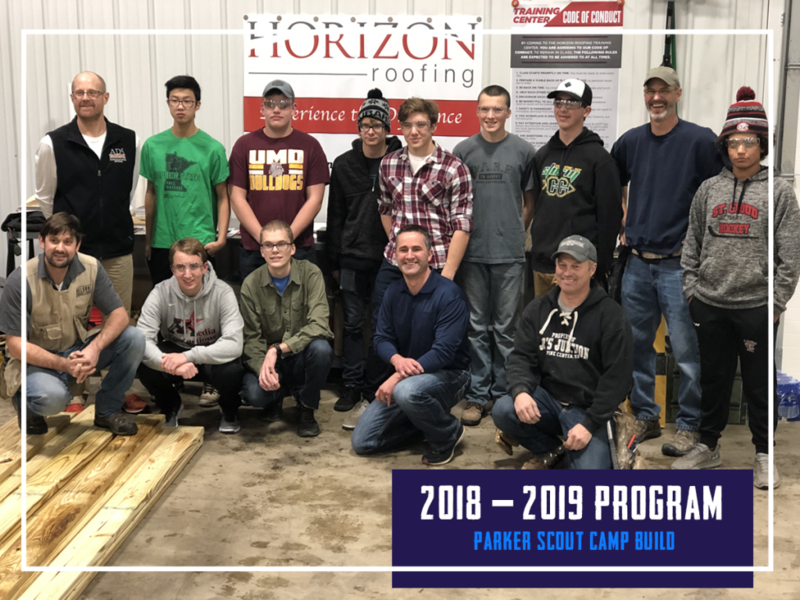 PBM, in conjunction with Horizon Roofing and Central Minnesota Builders Association (CMBA), has started a hands-on training program for the Explorer Scouts of the St. Cloud Area. 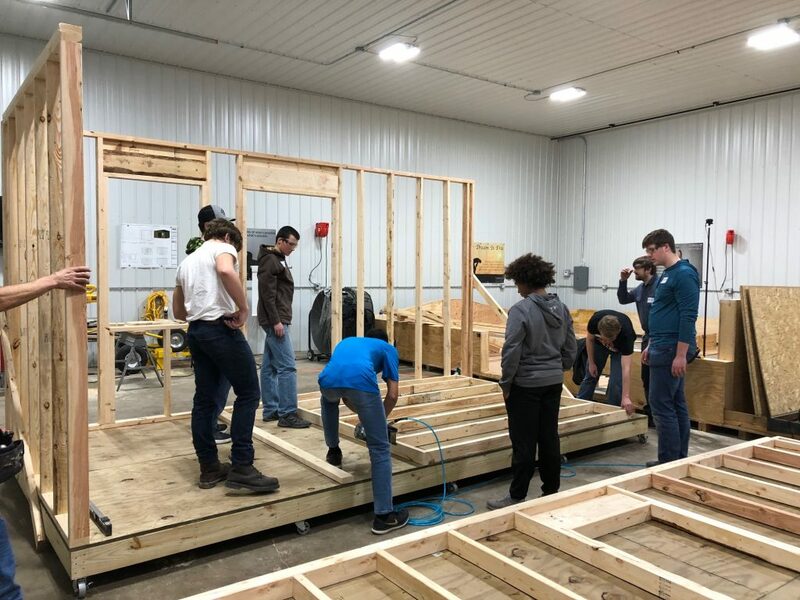 The monthly class is building a bunk house that, when completed, will be moved to the Scout Campgrounds in the Brainerd Area. There are 10 scout students that work with different trade contractors each month to build the structure. When completed the students will understand the basics of plan reading, framing, roofing, electrical, etc. The tools for the project were donated by CMBA and Horizon Roofing who also provides the space to build the bunk house donated the safety equipment. The materials for the project were donate by FirstSource Lumber of St. Cloud and the plans were drawn and donated by ADS Designs and Tony Steinmann. (See pictures below). The first Core Construction Training (CCTP) will be starting soon. PBM hopes to conduct three CCTP classes of 15 students each in 2019 in Minnesota. These classes consist of 45 hours of classroom training and 45 hours of online training. When completed the student receives a certificate from the State of Minnesota Department of Labor saying they completed the CCTP Apprenticeship Course and they also receive their OSHA 10 card. Watch the website www.projectbuildmn.org for details. PBM is seeking trade partners who would be interested in interviewing graduates of these classes for jobs. If you are interested please email dennis@projectbuildmnb.org or call Dennis Medo at 612-221-9849 to discuss further. Save the date for the first annual Project Build Minnesota Golf Outing. This year’s event will be on September 10 at Willinger’s Golf Club in Northfield. The outing will include lunch, golf, dinner, games, auction and great networking and fun. Sponsorship opportunities are available click here. Watch for the save the date email in the next two weeks. 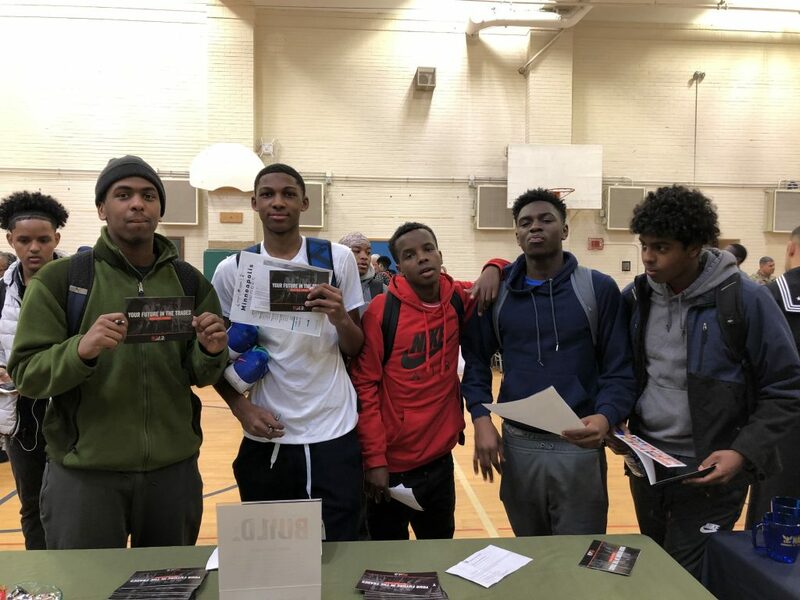 We would like to take this opportunity to again thank all the Project Build Minnesota donors who have provided the means and opportunity for us to meet students, parents, counselors, teachers, principals, superintendents, etc. and present the tremendous careers that exist in the construction industry. All of the donors are listed on our website. Thank you again! If you are interested in donating please go to projectbuildmn.org/about/support. Thank you in advance for your donation.